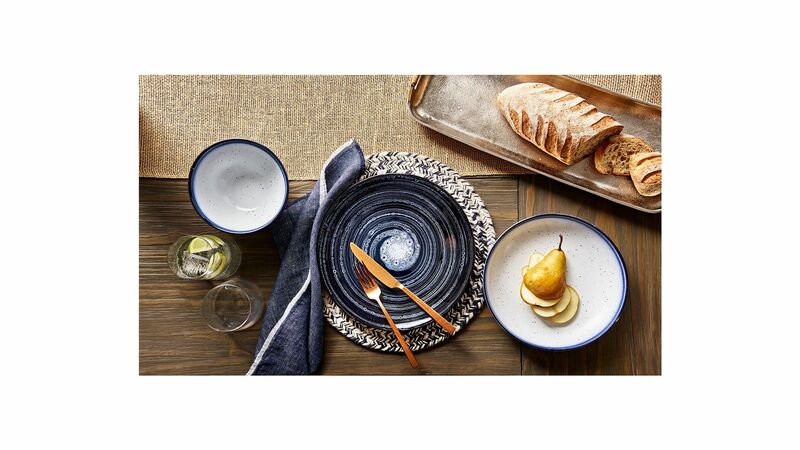 Think earthy blues, stoneware, and rustic serving tools to spice up your tabletop—all at a discount. Lucky Brand is already well-known for its California-cool, western-meets-festival-ready look and high-quality denim selection; this year, the brand branched out beyond the clothing industry, with gorgeous results. A new home line of timeless dishware items—serving bowls, stoneware dishes, copper flatware, table linens, and more—launched in mid-2018, and it has a lived-in, comfortable feel that can also fit into more elegant celebrations and Thanksgiving table settings. Shallow, wide bowls like this one are incredibly versatile. Use them for soups, pastas, rice bowls, and more. 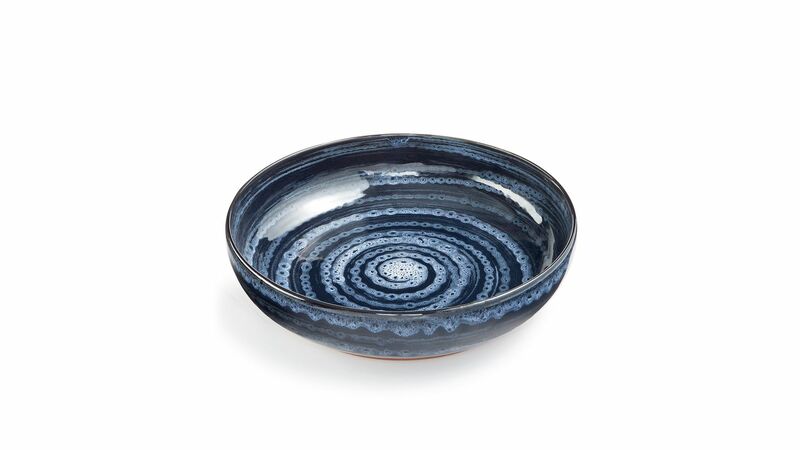 When not in use, the pretty swirling design makes them ideal for display on open shelving—not something that can be said for all dishes. To buy: $35 each (normally $50); macys.com. 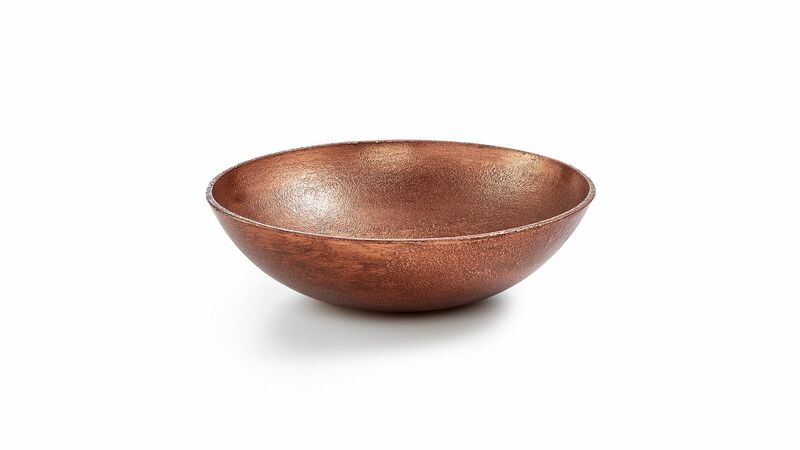 Serve from this textured bowl, or use it as décor: Filled with lemons, apples, or another picturesque fruit, it’ll shine as a centerpiece or side-table vignette. To buy: $38 (normally $92); macys.com. 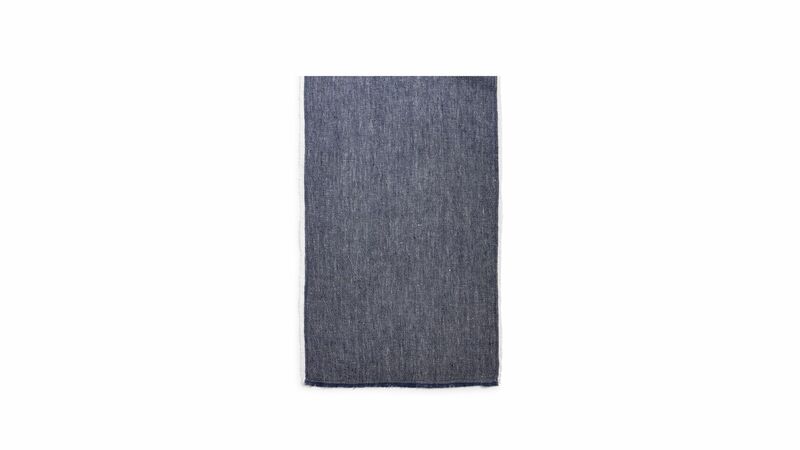 No Lucky Brand line would be complete without denim—this six-foot table runner is machine washable and can help dress-down an elegant table spread, or give a little easy-going sophistication to an al fresco meal. To buy: $14 (normally $34); macys.com. 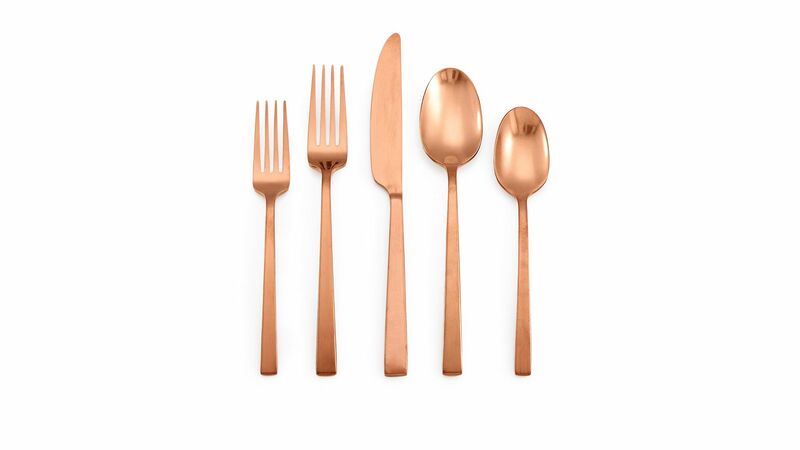 Silver (faux or real) flatware has had its moment in the spotlight, and black and gold flatware is picking up steam; ignore all those trends with this copper-colored stainless steel flatware, which brings a warm glow to any meal. To buy: $117 (normally $167); macys.com.